Pre-heat the oven for 10 minutes in 200 degree Celsius, In the mean time prepare the pizza. On a pizza base apply the pizza sauce and arrange all the vegetable and potato on top, now cover the vegetable with cheese, and bake the pizza in 180 degree Celsius for 8 to 10 minutes. Serve hot with tomato sauce and other seasoning. pizza looks absolutely awesome.. love the potatoes in it.. Potatoes in pizza,thats truly interesting.. Wow!!! Lovely looking pizza. yummmm. Very easy to make also. lovelyyyyyy- slurp, pass it on ! ummm Drool worthy topping...Can I have a slice? Homemade pizza is always the best, yours looks so yummy! looks vibrant and flavorful pizza...love the recipe! Your pizza looks colorful and delicious! Awesome :). looks too good rumana.. So colorful and absolutely delicious !!! 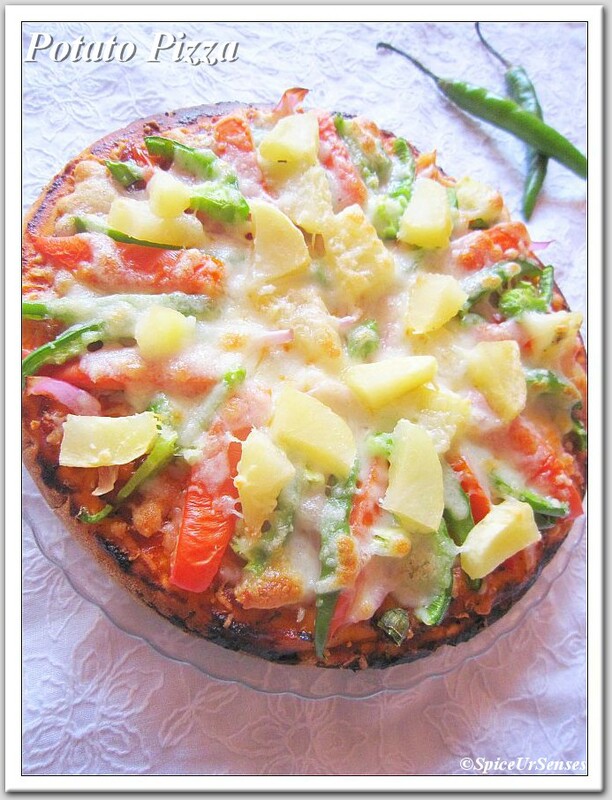 Lovely Veggies Pizza..Umm Umm good! This looks awesome,loved the topping,home made is the best. The pizza looks awesome,loved your toppings. Lovely potato pizza..Looks absolutely yummy.. Absolutely delicious looking pizza..Very inviting! Sounds amazing! Nice idea to have it this way! Love it! Lovely pics! Potatoes in pizza new to me, luks beautiful...very healthy choice. Ooh pizzas- give it to me in any form with any flavors- I'd never say no! 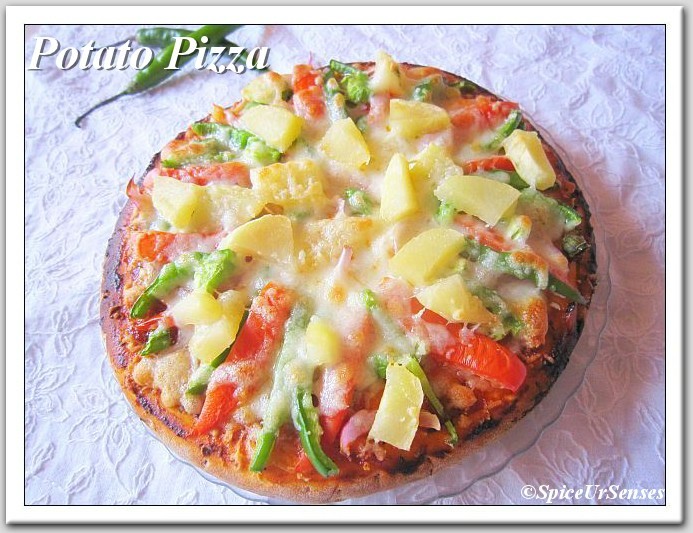 Your potato pizza is a new idea and looks very tempting!